In March of 1805, Oxford County was officially established, with Paris selected as the County Seat. One of the first business transactions for the new county was to acquire property for, and then build, the County buildings. 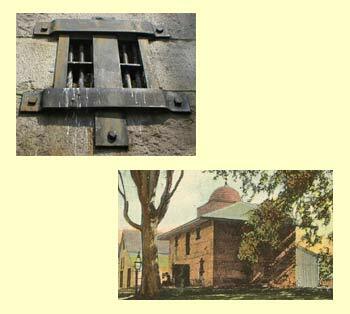 There is no record of what happened to the very first jail building supposedly built from the plans in the 1805 papers, other than a reference in the transaction for the building currently standing that directs that the second building be built on the site of the first. The building that now houses the library and museum was built in 1822, of granite blocks quarried in the town of Oxford, and dragged up Paris Hill over the frozen ground of winter. The building was two stories, as it appears today, except that the second floor was accessible only by a door from the outside, making each floor entirely self-contained, reportedly with a stove on each floor. Plans were explicit; even a diagram has survived. However, there is little documentation, only speculation and deduction, about what was actually built. By the 1850's, the railroad had come through the valley; and by 1896, new County Buildings had been built in South Paris, to take better advantage of this. The County Seat, with all the community activity that entails, was moved down there permanently. The buildings in Paris now reverted to private ownership. 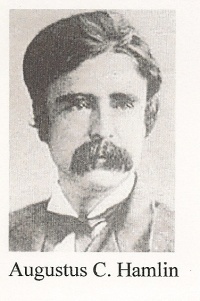 The vacant jail building was purchased by Dr. Augustus C. Hamlin, nephew of Hon. Hannibal H. Hamlin (Vice President of the United States during Lincoln's first term). 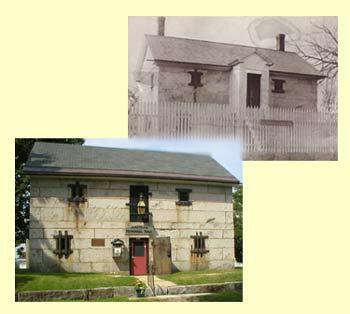 Dr. Hamlin removed the 4 downstairs cells, and the granite slabs between the upper and lower stories ,thus removing the entire upstairs, and made the building one large open room. He replaced the roof with one fashioned after the Tomb of Salim Chisti of India, and then deeded the building to the Ladies of the Paris Hill Library Association (which later became The Paris Hill Library Association). The deed specified that the building should be name Hamlin Hall, and set forth several stipulations that still guide the current Board of Trustees more than one hundred years later. "Stipulations in original deed". The new Hamlin Hall opened for business in the fall of 1902; and, despite countless revisions of hours and temporary seasonal closings, has remained so. In the 1960's the domed roof was replaced by one closer to the original design. A new second floor and interior staircase was added, and shelving installed on the first floor. The building now houses a small public circulating library , a modest research facility, and a museum collection relating to local, state, and national history.